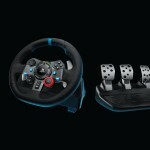 Logitech just sent in two press releases introducing the G29 and G920, its two newest racing wheels. 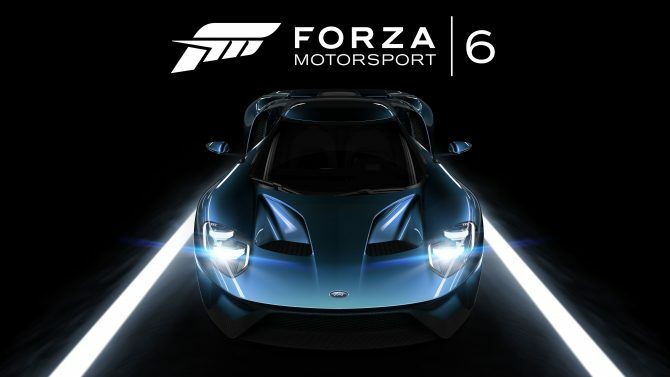 The first will be for PS4 and PS3, while the second will support Xbox One and PC. You can see official pictures of both at the bottom of the post, and both have a suggested retail price of $399.99. 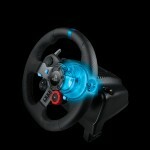 The Driving Force Shifter, a six-speed manual gear stick with push-down reverse, has also been announced as an optional add-on for the G920 for $59.99. 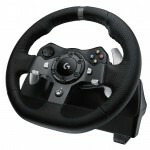 The G29 will ship in July, while the G920 will be released in October. 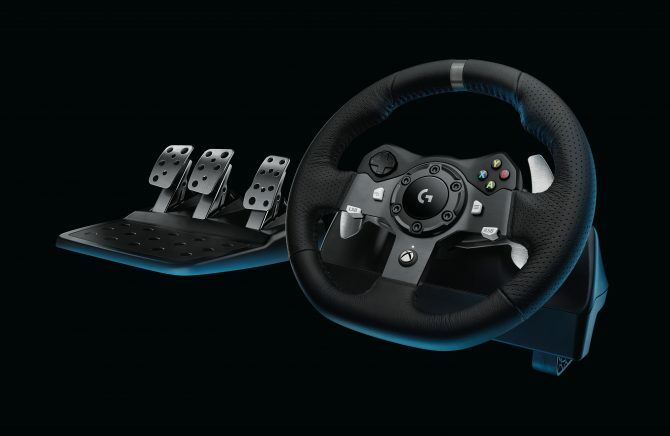 Engineered with dual-motor force feedback, the Logitech G920 Driving Force realistically simulates the feel of weight shift, road conditions, and tire wear, so you can sense under- or over-steering, traction loss and more. With helical gears modeled after the gearing used in real world car transmissions, you get exceptionally smooth, quiet and precise steering action. 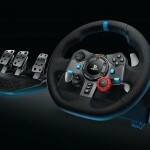 Anti-backlash hardware also keeps the wheel and pedal input tight to maximize control. 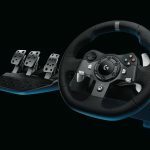 Built to last, the Logitech G920 Driving Force features solid steel ball bearings in the wheel shaft, anodized aluminum spokes, and stainless steel paddle shifters and pedals. High-quality, hand-stitched leather gives the Logitech G920 Driving Force the look and feel of a high-performance racecar wheel, and ensures a more comfortable and durable user experience. Additionally, built-in clamps and bolt points allow you to securely mount the wheel to a table or racing rig to minimize shifting or wobbling during aggressive maneuvers. 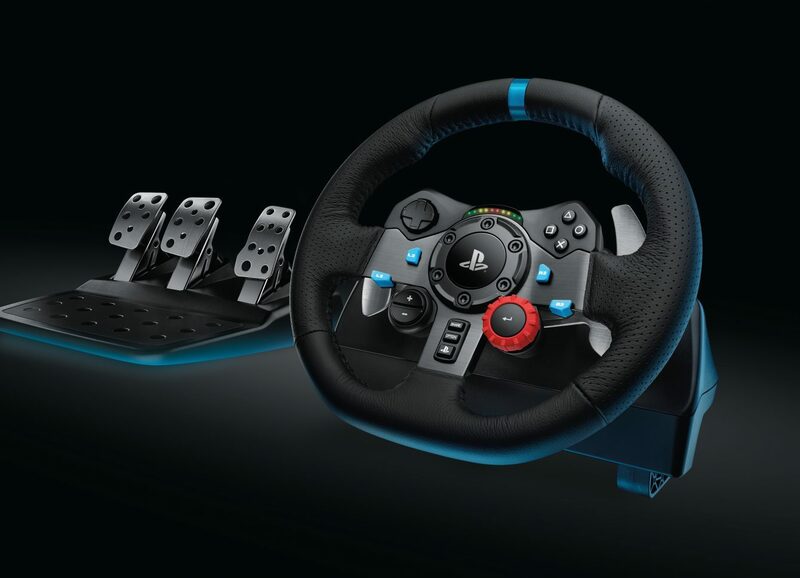 For seamless access to racing controls, the D-Pad, console buttons and semi-automatic paddle shifters are conveniently located on the Logitech G920 Driving Force. 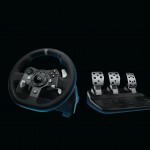 The Logitech G920 Driving Force comes with a separate floor pedal unit that lets you comfortably brake, accelerate and change gears, just as you would in an actual car, and also allows you to maintain a more realistic body position for driving. The nonlinear brake pedal mimics the performance of a pressure-sensitive brake system for a responsive, accurate braking feel. Additionally, the G920 includes a dedicated clutch, so gamers who want to test their abilities can have a truly immersive racing experience. Available as an optional add-on, the Driving Force Shifter is a six-speed manual gear stick with push-down reverse. The Driving Force Shifter features quality construction, with a solid steel gear shaft and hand-stitched leather boot and knob cover. Built-in clamps and bolt points also allow the Driving Force Shifter to be mounted securely.